I think if I was wearing skinny jeans like the instagram pic, it would be pretty cute. Or maybe one of those pairs of snug fitting high-waisted jeans. 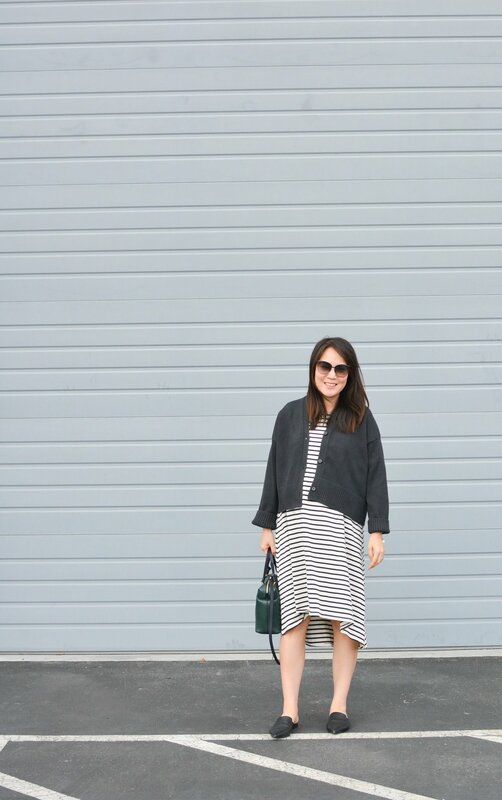 Or I think the key might be to keep it unbuttoned for a cuter look. Let’s just say it’s not doing my prego body shape any favors. 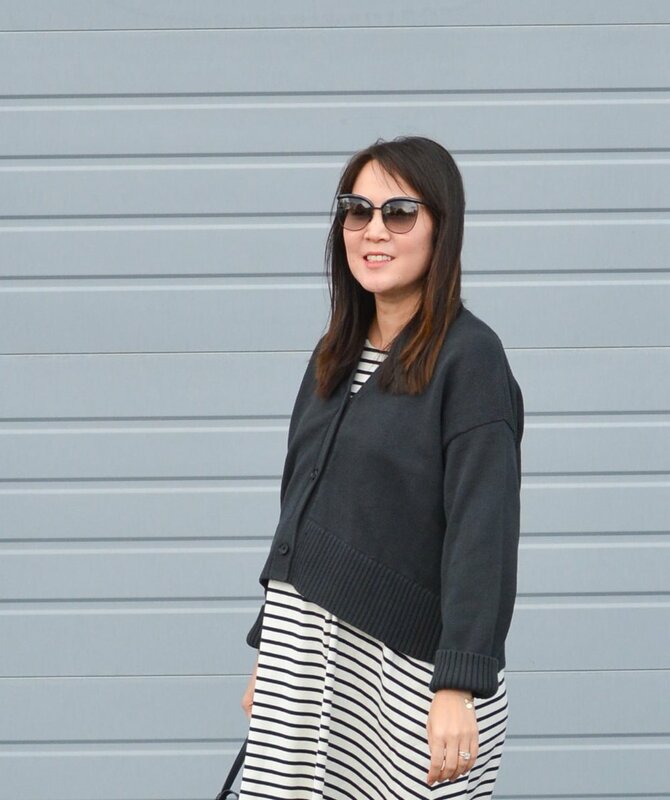 While the soft cotton crew sweater has a great drape and tends to hide my prego belly, the cardigan seems to accentuate it. I’m not sure if it’s because I’m not styling it well or because my current figure is not suited to this shape but I rarely found this cardigan flattering. At first I thought it was kind of cute but with more photo evidence, I decided it was not that cute. In the end I was undecided but did think it wasn’t that cute while pregnant. And since I didn’t want to hold on to this cardigan in the off chance it’ll look cute once I get my usual figure back, I decided to just send it back. 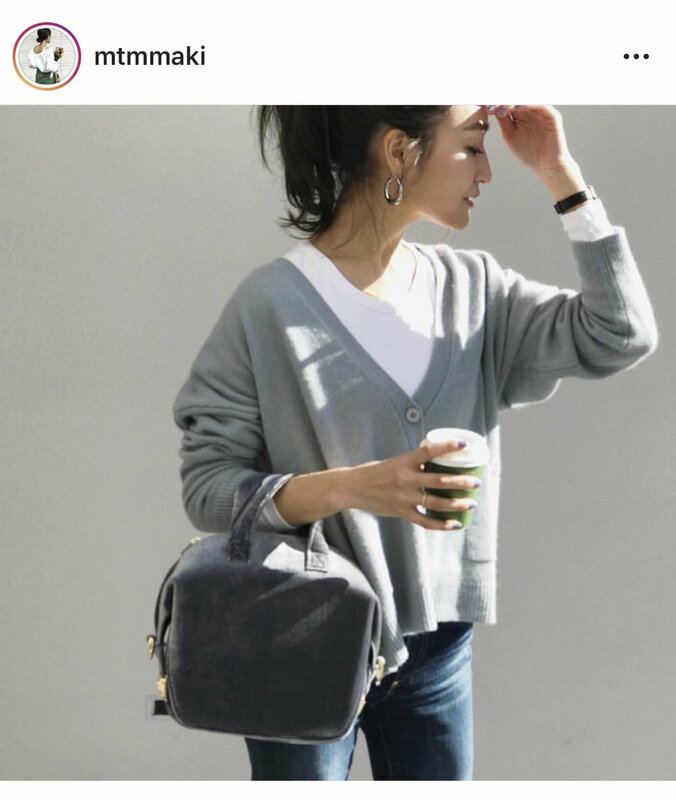 Has anyone else tried this sweater and found it flattering? What am I doing wrong here?